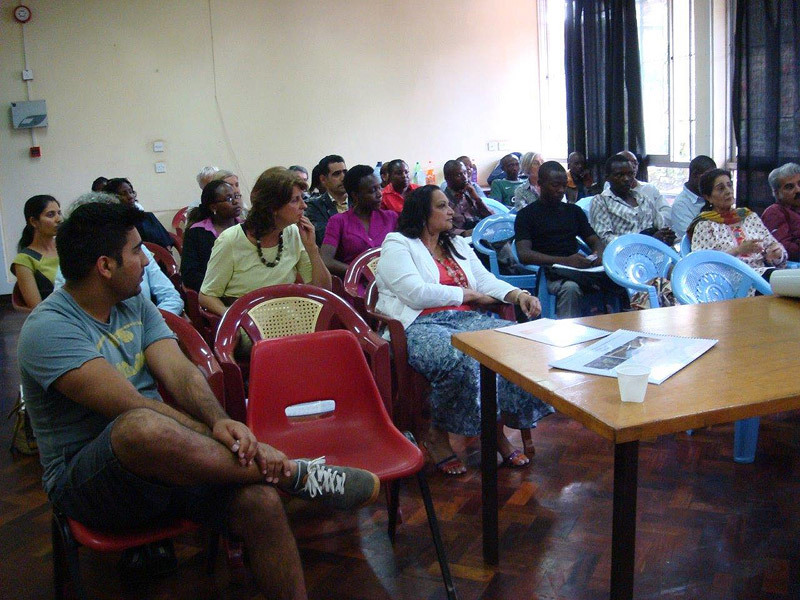 In a talk on ‘Reviving Nairobi City Park for the People’ given at the National Museums—Alia Khan, described the five strategies for a holistic rehabilitation of the park: Social Integration, History, Education, Security, and Conservation. 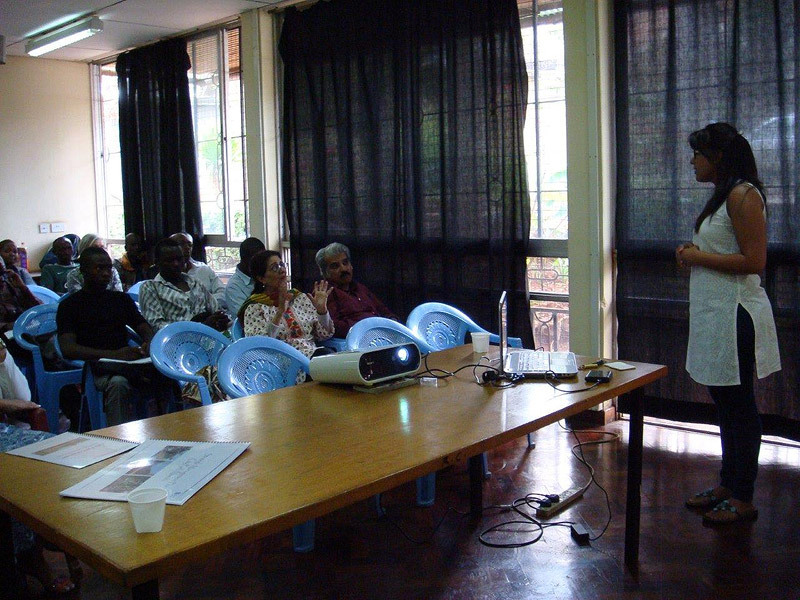 Talk was given by Alia Khan, BSc (Hons), MLA, Landscape Architect, University of Sheffield, on Wednesday, 13th November 2013, at the Natural Sciences Building, Museums of Kenya. Alia chose City Park for her Masters Project, producing a holistic design for rehabilitation, and a Management Plan to ensure the sustainability of this 60+hectare park within Nairobi. She chose to look at City Park because it was once an important public space for her parents’ generation but is now in need of rehabilitation. Her vision was to integrate City Park into the urban fabric. The design retained most of the features of the park, and looked to add facilities, and a structure to allow for a better visitor experience of its many opportunities. Circulation on three levels was introduced: straight main paths, winding nature trails, and a raised tree walkway. The walkway would serve the purpose of allowing visitors to experience the park in a unique way—like the monkeys—with a ‘Monkey-See’ and a ‘Monkey-Do’ section. The latter would include rope ladders, swinging bridges, nature hides. The walkway would also serve as a vantage point for enhancing the security of the park. A visitor centre within the park was highlighted as a key component in organizing the parks management, activities, and events, as was the creation of a Kibagare Stream Wetland, which would also help in cleaning the stream. The maze, a feature much loved by the old and young is in need of rehabilitation; the historical bandstand, cemeteries, and Murumbi Peace Memorial have immense educational value, and need to be preserved. Strategies for ecological, social, and economic stability were also covered. These would include forest management–to improve the floral and faunal biodiversity, reduce the overpopulation of Sykes monkeys, and the preponderance of certain tree species. She mentioned the importance of educational activities, allowing City Park to serve as an outdoor classroom where children can learn about the value of nature. The issue of homeless people was also tackled. Alia suggested that City Park could approach homeless people to become part of the rehabilitation of the park through courses and training. They could for instance, become wardens of the park. Other ideas were farm forestry resulting in the sale of products such as wood, gum, raisin, medicinal products, and insect farming resulting in the sale of honey, and butterfly pupae to raise funds for maintaining City Park. Rehabilitation could also focus on art, physical fitness, or group activities for team building. Alia concluded by reinstating her vision of City Park becoming a socially inclusive, ecologically sensitive, educational and recreational gem for the people of Nairobi.